If you are from South Louisiana, then I’m sure you’ve heard of a Gentilly cake. It’s loaded with lots of fresh fruit, light and airy cake, and this delicious cream cheese icing. Whole Foods has a very similar cake called the Chantilly Cake. It’s equally as delicious. 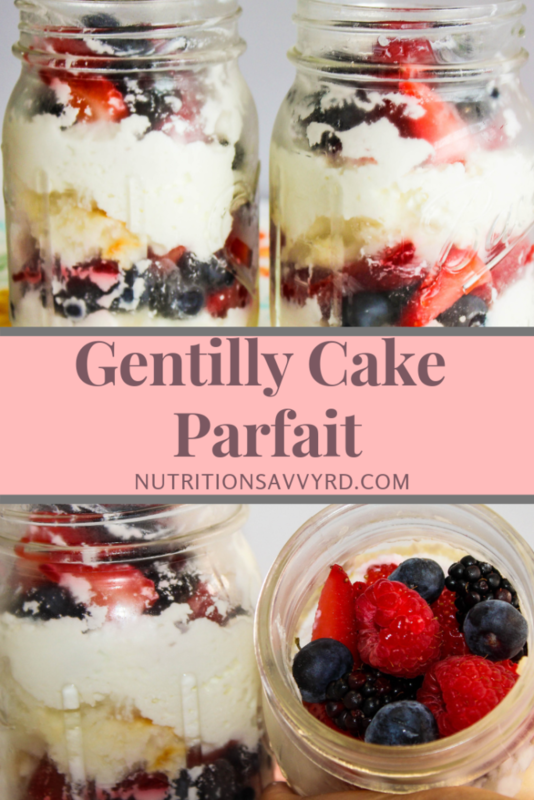 While having all of those delicious berries in these cakes is better for you than not having them, Gentilly and Chantilly cakes have a lot of calories from the icing and the three layers of cake. So I’ve already said that the icing has lot of calories and so does the cake. 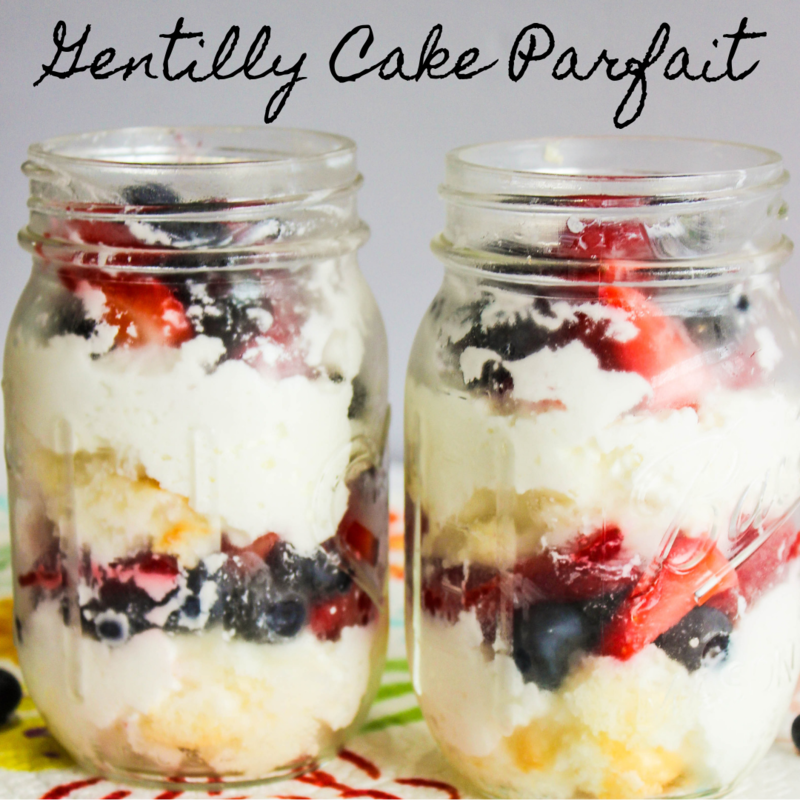 This recipe uses whipped vanilla cake flavored yogurt and only 1/2 cup of cake in each jar. The yogurt is only 100 calories in each container. Each jar of Gentilly cake parfait has 1 cup of yogurt, 1 cup of mixed berries, and 1/2 cup of cubed angel food cake. 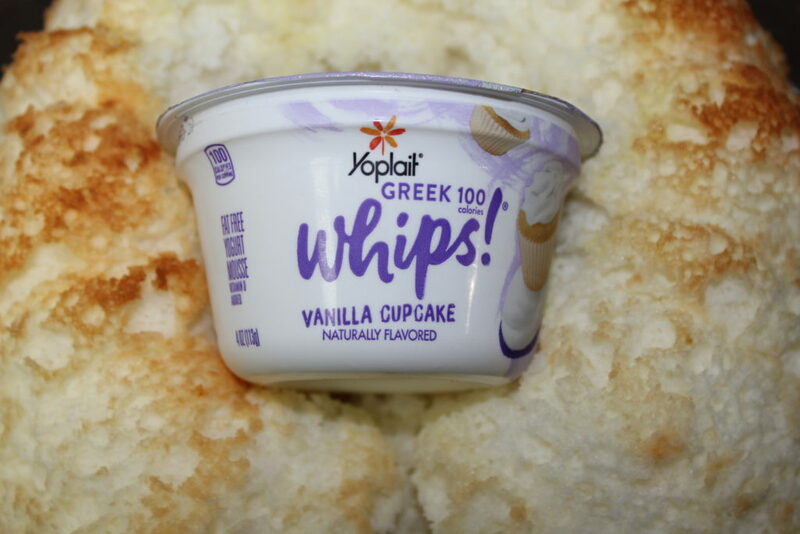 The yogurt needs to be this specific flavor of Whipped Vanilla Cupcake Yogurt because the icing in a Gentilly cake is very light. Alright, all of these berries can start to get expensive when they aren’t in season and you can’t find them on sale. I’m sure you know just how expensive fresh fruit can run when you go in the middle of December to buy them. Right now we are in Spring, which means that all of the berries are in season and cheaper than normal! Strawberries are generally the cheapest out of all the other berries, but you can find great deals at your grocery stores and find fruit on sale for cheap! I found Louisiana strawberries on sale for $2.99 and blackberries on sale for 2/$3! 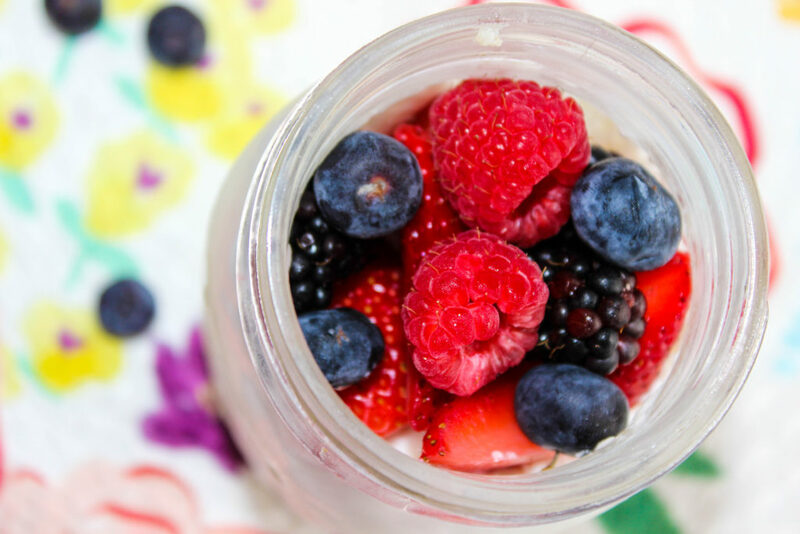 If you can’t afford all of the berries in this recipe, you can use just strawberries to make it cheaper! Make the angel food cake according to package instructions. Let the angel food cake cool and cube the cake. 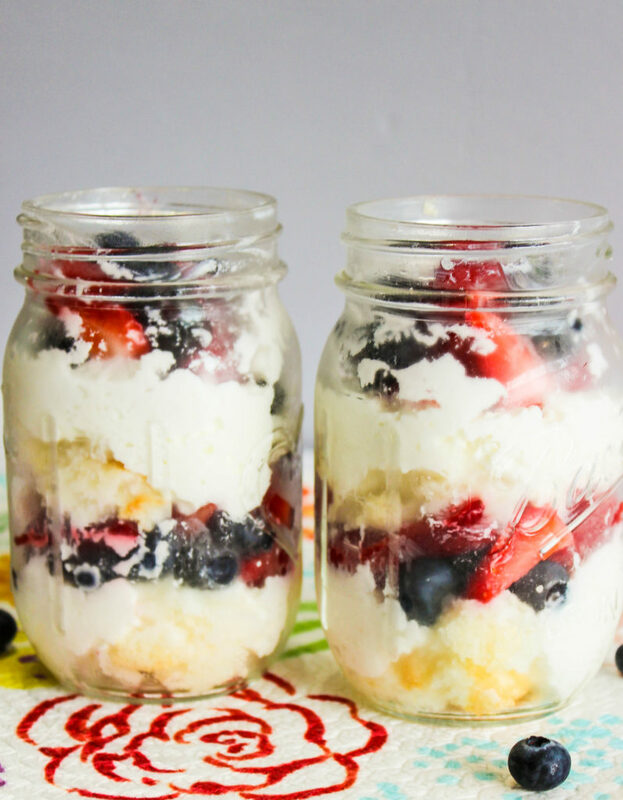 Layer 1/4 cup of cubed angel food cake, then 1/2 cup of yogurt, and 1/2 cup of mixed berries in a mason jar. Repeat the layering and cover with the lid. Bake angel food cake according to package instructions and let cool. Once the angel food cake has cooled, cut into cubes. Mix the 4 cups of berries together. 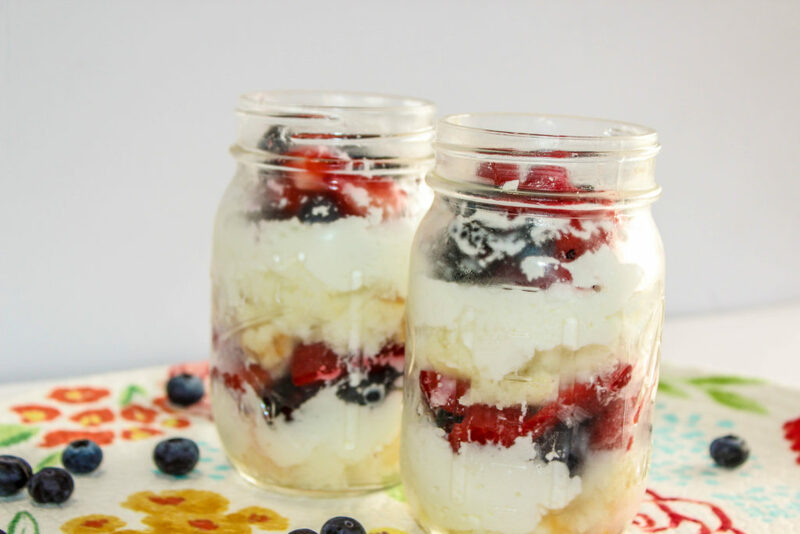 In mason jars, layer 1/4 cup of angel food cake, then 1/2 cup of yogurt, and 1/2 cup of mixed berries. Repeat. Cover the jars with the lid and store in fridge.